Impressive design, impressive flowers. This gorgeous arrangement will impress everyone! What a magnificent gift! Give love, give flowers. 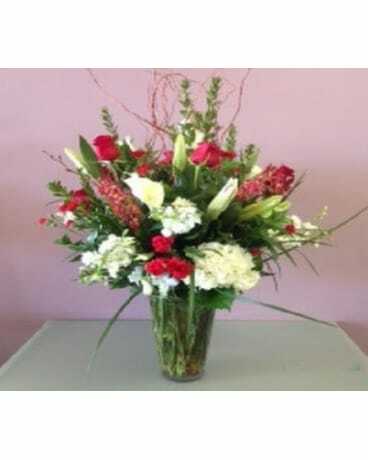 Enjoy the true beauty of hydrangeas, lilies, roses, orchids, calla lilies, stock.